The University of Athens offers information on all recent quakes at their website. The Institute of Geodynamics in Greece lists recent earthquake data on its website, which offers both a Greek and English-language version. They show the epicenter, intensity, and graph other information about every temblor that strikes Greece. The United States Geological Survey site offers a list of strong Earthquakes Around the World - any tremor striking Greece in the last seven days will be listed. The English-language newspaper Kathimerini has an online version, eKathimerini, which is a good source of quake-related information. There have been many earthquakes in Greece in the past few years, including major quakes on or near Crete, Rhodes, the Peloponnese, Karpathos, and elsewhere in Greece. A major quake struck off the Northern Aegean island of Samothrace on May 24th, 2014; initial estimates ran as high as 7.2, though these were revised downward. Crete was struck by a strong quake, originally measured as a 6.2 but later estimated at 5.9, on April Fool's Day, 2011. Greece is one of the world's most seismically active countries. Fortunately, most Greek earthquakes are relatively mild but there is always the potential for more severe seismic activity. Greek builders are aware of this and modern Greek buildings are built to be safe during earthquakes. Similar quakes often strike nearby Turkey and result in much more extensive damage and injuries due to less-strict building codes. 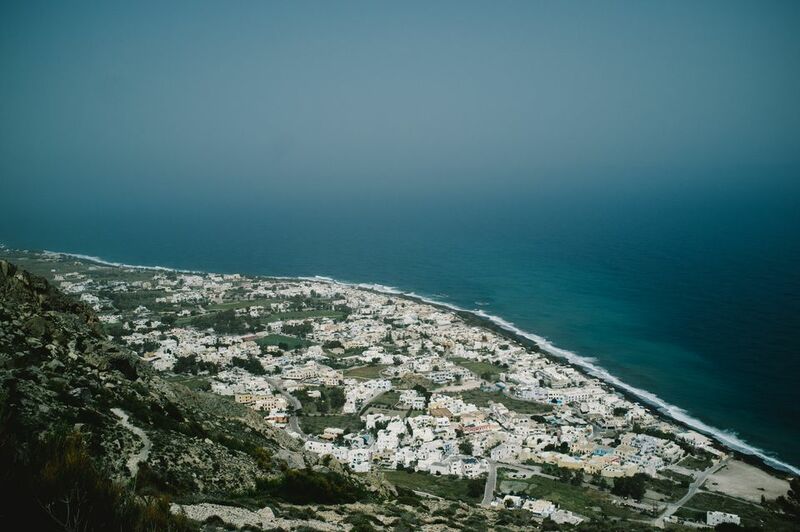 Most of Crete, Greece, and the Greek islands are contained in a "box" of fault lines running in different directions. This is in addition to the earthquake potential from the still-lively volcanoes, including the Nysiros Volcano, thought by some experts to be overdue for a major eruption. Many of the quakes that strike Greece have their epicenters under the sea. While these can shake up surrounding islands, they rarely cause severe damage. The ancient Greeks attributed earthquakes to the God of the Sea, Poseidon, perhaps because so many of them were centered under the waters. One severe quake was the Athens Earthquake of 1999, which struck just outside of Athens itself. The suburbs where it struck were among Athens' poorest, with many old buildings. Over a hundred buildings collapsed, more than 100 people were killed, and many others were injured or left homeless. On March 18, 1953, a quake called the Yenice-Gonen Quake struck Turkey and Greece, resulting in the devastation of a number of places and islands. Many of the "typical" Greek buildings we see on the islands today actually date from after this quake, which occurred before modern building codes were in place. Many earthquakes are recorded in ancient Greece, some of which were severe enough to wipe out cities or cause coastal settlements to virtually disappear. Some earthquakes in Greece are caused by volcanoes, including the one which forms the island of Santorini. This is the volcano that exploded in the Bronze Age, sending up a huge cloud of debris and dust, and turning a once-round island into a pale crescent of its former self. Some experts see this disaster as ending the ascendency of the Minoan civilization based on Crete just 70 miles away from Thira. This eruption also caused a tsunami, though how devastating it really was is a matter of debate for both scholars and volcanologists. This devastating quake with a presumed epicenter off of southern Crete reawoke all of the faults in the area and emitted a huge tsunami that struck Alexandria, Egypt, sending ships two miles inland. It may also have drastically changed the topography of Crete itself. Some debris from this tsunami can still be seen on the beach at Matala, Crete. After the devastating tsunami which struck the Pacific Ocean in 2004, Greece decided to install a tsunami-detection system of its own. At present, it is still untested but is meant to give warning of any potentially large waves approaching the Greek islands. But fortunately, the type of earthquake which caused 2004's devastating Asian tsunami is not common in the region of Greece.